The Pierson crowd was kept on their feet Monday night with the Lady Whalers taking home a whopping 55-25 win against Southampton. The first quarter started off slowly but quickly picked up once The Ladies jumped into action with junior Chastin Giles coming in with three assists, and senior Katie Kneeland a three-pointer, ending the quarter with the Ladies commanding a substantial 19-8 lead. The team remained on top of the ball and on august defense throughout the second quarter, stretching their lead to 29-13 at the half. The Ladies perfectly demonstrated their hustle and strength on the court, making their effort impossible for Southampton to overtake. Freshman Sofia Mancino, one of Pierson’s most renowned young athletes, dove for the ball with agility and skill. Giles also kept on her A game, adding another three-pointer to the scoreboard. By halftime, the ladies were off the court and ready for more. As the third quarter commenced, The Ladies were immediately back and better than ever, raking in a prodigious 27 additional points. 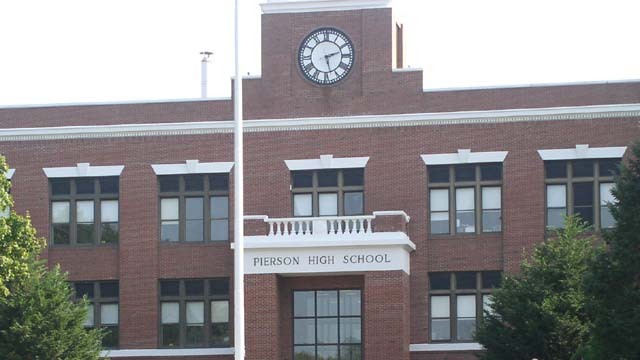 With the now 46-18 score, a victory looked like a sure bet for Pierson. The ladies finished as strong as they began. The crowd went silent as senior Olivia Aupperlee sank an impressive three-pointer, ending the game with a Pierson victory and a final score of 55-25. It’s clear that this team possesses great chemistry on and off the court, “We work together as a team and we are all super close so it helps on the court.” Said Giles. The Ladies beautifully denoted what a Pierson game truly is. Not a mundane moment and a well-earned win.